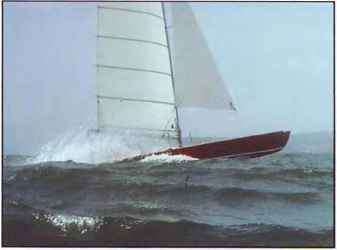 The sealed hulls of catamarans enable them to be sailed safely in very rough conditions. But as with other high performance craft, medium strength wind conditions are best for building up your experience as the catamaran is sailing at its optimum speed. 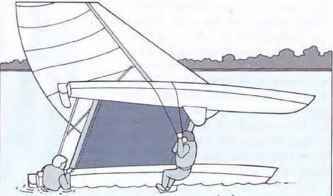 Crews can learn how to handle the trapeze system when tacking and how to move quickly up and down the gunwale to the aftermost trapezing position. However, only very experienced sailors should attempt to sail catamarans in strong winds and heavy seas. 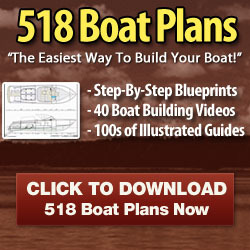 The two main points to bear in mind are to keep the boat moving as fast as possible when going to windward and to make sure the boat is balanced —keeping the hulls level by sheeting the sails well out and bearing away in gusts. when urging the boat over the crest of a wave. Acceleration and deceleration will be very rapid so the crew must brace themselves securely using the foot loops or toe straps. Spray or breaking waves can make visibility difficult, and some crews prefer to wear ski or swimming goggles to protect their eyes. Extra protective clothing will be necessary as the spray strikes hard enough to be painful. The catamarans above and below are both sailing in rough weather on a reach-the helmsman and crew are well aft. A number of smaller catamarans can usually be successfully righted by pushing the bows or sterns (it doesn't matter which) down into the water until they dip into the water sufficiently to allow the boat to become vertical. Once in that position, the boat can easily be pushed over into its normal attitude.